Our friends at Two Peas in a Bucket are hosting a couple vendor challenges right now that are perfect for our PMB peeps with GREAT prizes available! The first is Lawn Fawn Bright Side Project Challenge in which you'll create a project of any theme using at least one aspect of Lawn Fawn's new Bright Side Collection. Our April Fresh Baked Kit, A Walk on the Bright Side, gives you everything you need to win this challenge: Bright Side 6x6 petite paper pad, teal hemp cord, "You've Got Mail" stamp set (out of stock at both Lawn Fawn and 2 Peas!) 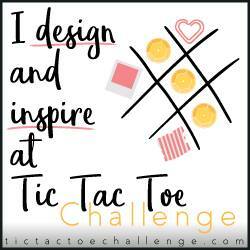 plus loads of embellishments to create that winning project!! There will be three winners of $50 prize packs from Lawn Fawn! The other challenge is Webster's Pages Project Challenge by our friends at Webster's Pages. You'll need to create a project of any theme using at least 50% Webster's Pages products. 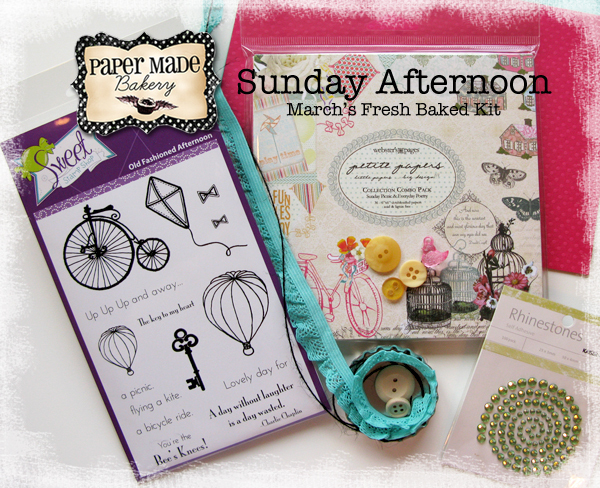 Paper Made Bakery's March Fresh Baked Kit, Sunday Afternoon, includes the absolutely beautiful Sunday Picnic 6x6 petite paper pack, pretty aqua Picnic Ruffle and so many embellishments you'll be able to create lots of projects for this challenge! There are also three winners possible in this challenge, each receiving a $50 prize pack from Webster's Pages. And, the totally great thing?! Both of these Paper Made Bakery kits are ON SALE!! But, there are only a few of each left, so if you don't already have them, be sure to order them right away -- they could end up helping you win loads of great prizes. Have a great time and good luck!